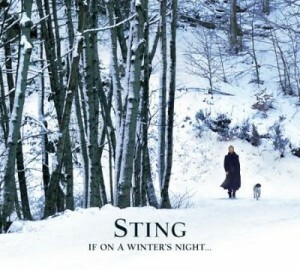 This isn’t “Rudolph The Red-Nosed Reindeer.” The Man Sting’s new “Christmas” CD is different than the usual holiday fare. Some might call it…bleak and depressing. A great quote sums it up: “After the Police tour wrapped, Sting was asked to cut a Christmas album. Instead of conjuring a winter wonderland of gaily-wrapped presents, Gordon Sumner’s delivered a melancholy collection of German lieder and songs about death. ‘I do what I want and I don’t give a (incredibly gross expletive deleted. )” Totally buy it.